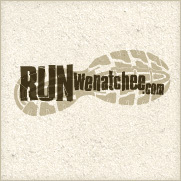 Marlene Farrell, wearing bib number 22, at the start of the Red Devil 50K on June 2 in the Wenatchee National Forest. “This year’s race felt like the perfect storm of discomforts from a weird bruise-inducing cramp in my calf the night before to the hormone imbalance and distraction of dealing with menstruating. (sorry guys TMI) Running for me is usually a highlight of my day, it’s a time I connect best spiritually with Jesus Christ, filled with the runner’s high and thankfulness to be outside with my Creator. June 2, 2018 was a different story. It was 2 hours and 40 minutes of pain in one joint or another muscle where I battled to choose joy and victory in my mind over my body. The awesome views made thankfulness easy and constant changing of terrain fed my strategy-seeking mind. 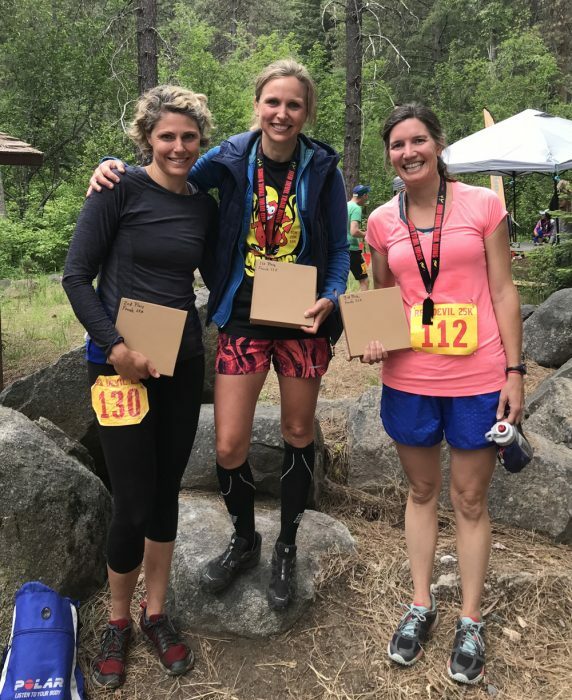 Heidi Loewen, center, along with Cody Graf and Marysutton Carruthers. “The new 50K course was beautiful, and in some twisted way, a relief to run after trying to race the 25K course fast for years. Emerson Peek, far right, along with Will Young, Peter Graf and Colton Gearhart. 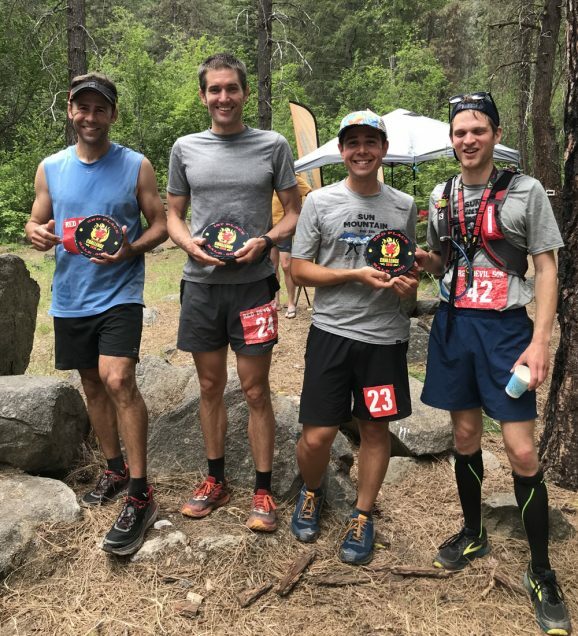 “The inaugural Red Devil 50k — wow! “Standing at the start line, fear tried to take hold of me. For such a long race it seemed dumb to do a warm up, but I missed the little injection of confidence it normally gives me. 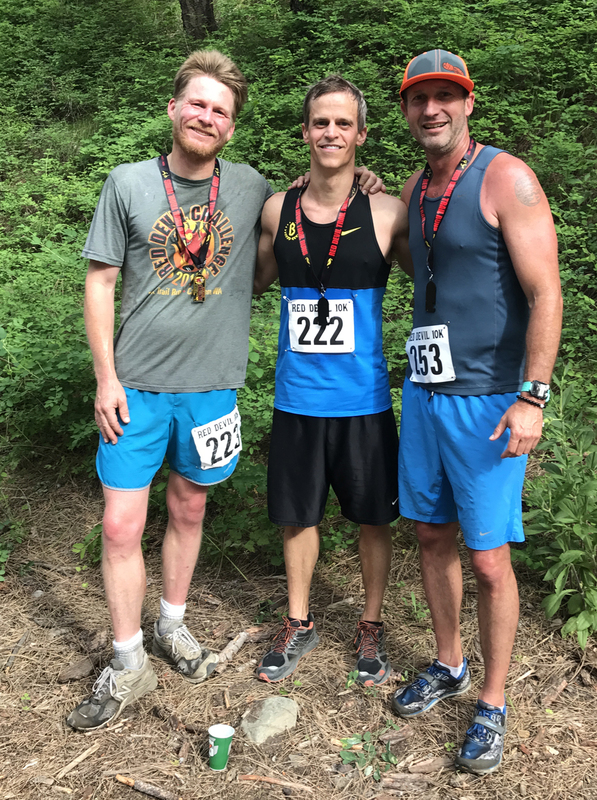 “I trained for this with friends, and many friends were running the three races. But each of us had to this on our own. Yet it was so heartening to know we’d all be out there, joyfully striving. “I compartmentalized the upcoming suffering. 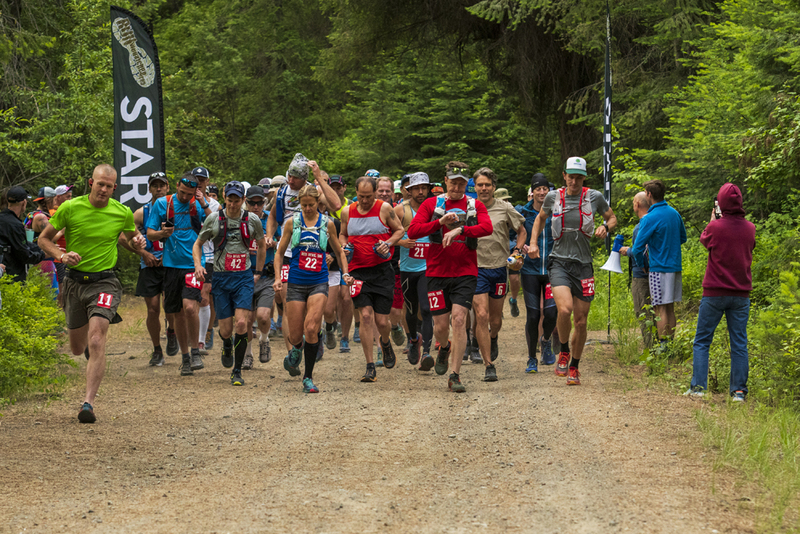 Sure, there were three hills, but the first was the worst, so the second one, all eight miles of it — how bad could it be? I actually believed it, having fun, huffing and puffing along gorgeous ridges, until I was ready for the summit, but it was 20 minutes away. 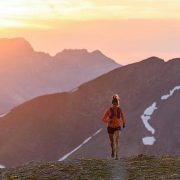 “My mind had to stay engaged to keep me in the game, even with long stretches of solitary running. I referred to my watch to enforce a steady regimen of hydration and nutrition to keep my stomach functioning and my legs somewhat limber. “The last 5K of a long race, on a good day, are the sweetest miles. Despite hours of work and holding it together, I entered a higher level of existence. The finish line closed in, I leaned, body and soul, toward it, and the pain fell away. I became nimble. My pace was the fastest I’d run all day. Nothing else mattered but running with all my heart. 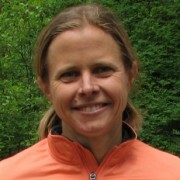 Marlene Farrell is a writer, long-distance runner and coach — and a frequent participant in the Red Devil Trail Runs. She lives in Leavenworth.